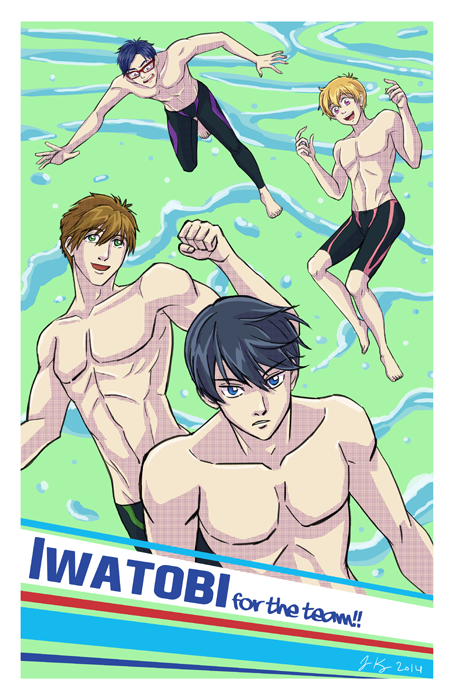 Summer is almost over which means summer anime is almost over T_T Really been enjoying Free! Eternal Summer so I had to do some fanart of the two teams <3 I wanted to do something different with the shadow this time around so I used the half-tone to sort of mimic what Kyo-Ani did in the original promo. 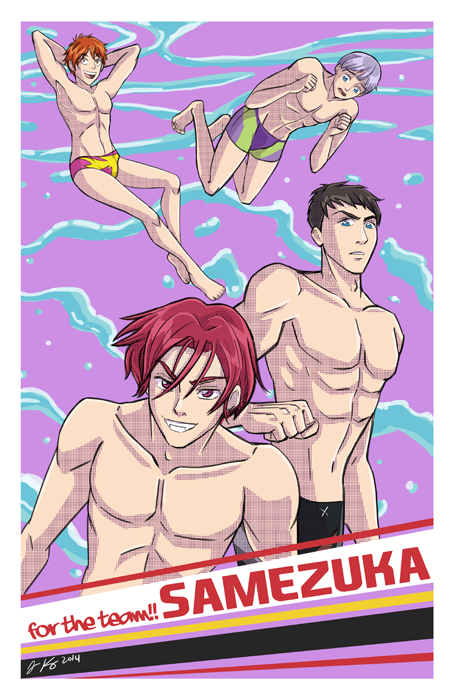 I still really love that promo, the bright colors and the water splashes were inspired from it as well!